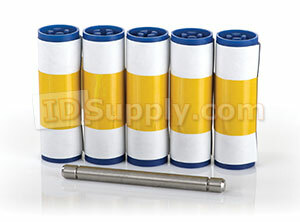 Magicard 3633-0054 Cleaning Rollers. 5 Sleeves and 1 Roller bar. For the Enduro printer. If your printer is in a dirty environment or you are using monochrome ribbons you need cleaning rollers.